Editor’s Note: Daniël van Gool, an administrator at the Unfiction forums, was on the scene at PICNIC ’08 on behalf of ARGNet. We were impressed with Daniël’s work covering PICNIC ’07 and, as media partners of the annual cross-media festival, were invited to a number of special events in addition to the speaker sessions. This is the third part of Daniël’s comprehensive look at this year’s event, still focused on the first day of conference speakers (the first part is here and the second part here). All pictures are courtesy of Daniël as well. Next up on the first day’s schedule was Stefan Agamanolis, formerly of MIT, now working at Distance Lab, devising creative ways to deal with distance, giving a talk called Duelling the Distance. His rather bizarre but interesting address concerned itself with the communication analogy of fast-food versus slow-food: it’s efficiency versus quality, generic versus personalized, and so on. A mobile phone has the same ‘design mentality’ as fast food, meaning it facilitates ‘anywhere, anytime’ versus specific communication, it’s generic, and it’s the same device for any type of situation. So Stefan and his colleagues had been thinking about what ‘slow communication’ would be like and tried to build a system based on those design principles. It would have to be free of distractions, like the concept of a phone booth pushed to an extreme. What they ended up with were two people, submerged in two different swimming pools, each one’s head encased in a helmet that completely blocked their vision, taste and smell, while the water they floated in diminished their sense of touch. At the same time, their helmet, fitted with ultra-high-quality speakers and a microphone so the two test-subjects could communicate, was attached to three flotation devices so that they wouldn’t have to put effort into staying afloat. They called this concept the iso-phone. The experiment resulted in a lot of gestures under water by people who completely lost track of time. This is a rather non-practical concept, of course, but it does provide insight into different aspects of the fast vs. slow analogy. We use the same communication device to call our lover as we do to talk to our lawyer or the pizza delivery guy, and this brings up the topic of intimacy. Another setup devised by Distance Lab tried to tackle this topic: a subject wears a ring on their finger that is detected by an overhead camera, which makes you able to draw in the air. The drawings are then communicated through projections of colored light onto someone else, creating an intimate way of communicating. Check out more about this project, dubbed Mutsogoto, on Distance Lab’s website. Another few less intriguing objects were discussed before Agamanolis finished with a project called Remote Impact, which was described as a ‘boxing interface’ that lets you hit a mattress that’s mounted on a wall, where a silhouette of your opponent (potentially across the world) is projected. This setup proved especially popular on several games-related conferences over the past few months. Following Agamanolis was a panel on The Emerging Real-Time Social Web, lead by Linda Stone (a former executive at Apple and Microsoft and now an independent consultant), which was kicked off with a YouTube video showing the very funny UK comedic ensemble Idiots of Ants’ parody on Facebook. The answer seems to be that people don’t connect randomly. You cannot force a community into existence — to create one, there has to be a need to do so. One way communities are formed is around social objects, as Engeström explained through a couple of examples: SoundCloud is an example of a social network like Pandora or last.fm for professional composers to share music they create, while also enabling others to elaborate on it. On a related tip, sites like Flickr, Picasa and Facebook grew when mobile phones got cameras: objects are interesting, and comments on a site like Flickr are interesting in defining these objects. In the short time Engeström spoke, he briefly addressed pattern recognition as a future development — triggering ‘nodes’ in your social network based on the location where you are or are going to, guiding you to things that are relevant near you or in your social network, or are relevant for others in your network. He recommended reading Leinad Zeraus’/Daniel Suarez’ sci-fi novel The Daemon, because it illustrates where the world might be going in his eyes. Next on the panel was Matt Jones who created a business based on social objects, DOPPLR. Jones expanded some more on the “social network fatigue” problem that has come up lately, hailing a quote from Merlin Mann: “if you need to appear on a list on the internet to make sure you have friends, you might have problems the internet cannot solve.” Friendfeed used to have a feature called FakeFollowing, which was to pretend to follow someone on the internet to prevent hurting their feelings. It seems the online world needs to be reminded of the fact that “friend” is not the only social role we play. This is the reason Dopplr doesn’t talk about friends, yet it’s about sharing items of information (on traveling) with someone you trust. Sharing travel intentions with people you trust is designed to maximize the serendipity around you. Picking up after Jones was Addy Feuerstein talking for a bit about AllOfMe, a “social network recorder” or “aggregator” if you will, letting you put together a ‘visual asset collection’ of your stuff. It works by hooking it up to a social service you use, like Flickr, Twitter or Facebook, and adding assets to your “timeline”. Once it’s done aggregating, you can view your timeline against that of your friends, family or other (predefined) timelines, like US history, The Simpsons or the World Series timeline. If an event from any of the timelines you encounter is related to your life you can add it to your personal timeline. You can then navigate through time similar to how you can navigate Google Earth, zooming in or out and panning through time. You can also visualize your timeline (“your life”) in various way, much like a TV show or a video, in all sorts of fun ways. I was chatting with Unfiction’s SpaceBass on IRC while Feuerstein was doing his presentation, and he remarked that AllOfMe could potentially be an ideal way of displaying assets of ARGs in a very visual and intuitive way. AllOfMe is currently still in beta, but at the end of his presentation, Feuerstein gave away 100 free beta accounts, of which I was able to pick one up. This now enables me to give away five more invitations, so anyone interested in receiving an invite, contact me and we’ll sort something out! Last on this panel was Philip Rosedale, of Second Life and Burning Man fame. He talked for a bit about increasingly creative ways people are expressing themselves in virtual worlds, hailing BurningLife as an example: a virtual festival in Second Life recreating Burning Man. Concluding the first day of PICNIC was Itay Talgam, a world-renowned Israeli conductor who has spent time researching how orchestras work together — what roles the conductor, the musicians and the audience play and how these insights relate to leadership and management processes. Al Gore recently hailed Talgam’s talk at the Google Symposium as one of the best talks on management he’d ever witnessed. It’s really hard to convey Talgam’s address in writing. There’s no footage from Talgam’s talk at PICNIC online yet, but his very similar talk at the Google Symposium is well worth watching. One of Talgam’s interesting closing quotes that stuck with me was, “It has become so easy to create media, the challenge has now shifted to how to get people to pay attention to it.” He was greeted with a standing ovation when he was done, a PICNIC first and very well-deserved. I hope there is more on this soon. 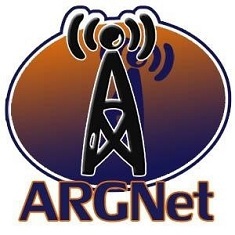 I hadn’t heard of this until I started following ARGNet. This is a fascinating conference I especially enjoyed cross-media portion.